Most of our fabric for this kit or block of the month has arrived. The last shipment is due this week and then the fun begins, cut-cut-cut. 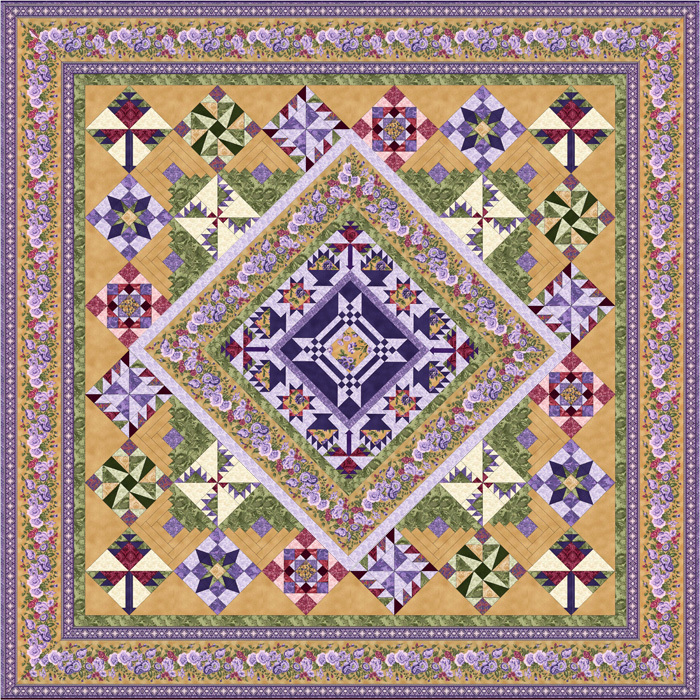 We only have a few spots let for this stunning quilt. Don’t wait to long. We also have the complete collection of Giselle available online for your stash or a special project. This entry was posted on Sunday, October 9th, 2011 at 10:00 am and is filed under Uncategorized. You can follow any responses to this entry through the RSS 2.0 feed. You can leave a response, or trackback from your own site.